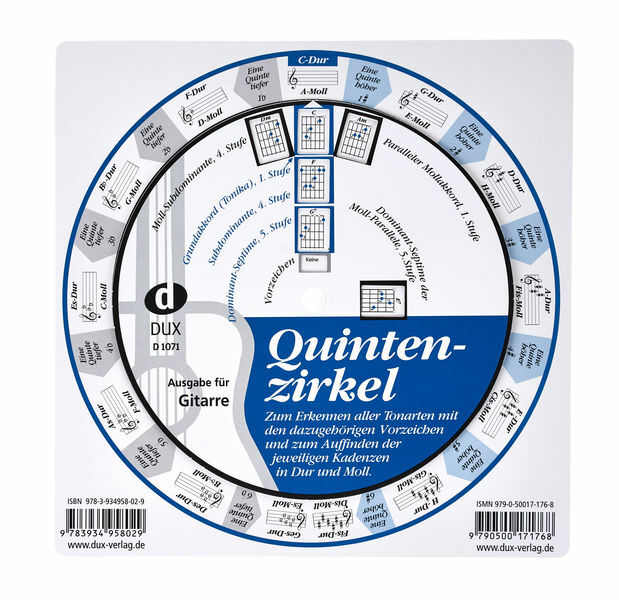 Why do you buy a quintenzirkel as a longtime guitarist? Sure, the chords of the usual keys I know long ago by heart, but before I get into Fis-Dur (with the six crosses) still pondering, I have with this handy aid everything immediately in view and grasp, because the Tabulatures are also shown as a matter of course. It is also easier to "go" to the keyboard or the piano, as the corresponding fingerings can also be read on the back of the fifth. In my opinion, the simple construction of three cardboard parts is an indispensable and inexpensive tool for beginners of both instruments. The only criticism is the material used: the cardboard box does not last long in the guitar case, since a durable plastic was the better choice. ID: 169713 © 1996–2019 Thomann GmbH Thomann loves you, because you rock!